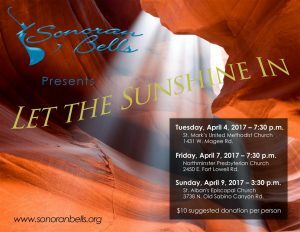 Sonoran Bells is proud to present our spring concert: Ten or Less! 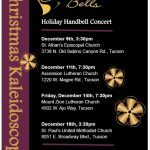 Stop by the events page for more info. If you are interested in joining Sonoran Bells as a performer, please mark your calendars for August 15th at 6:30pm. For more information and directions to the location, please contact Shannon Casey, Artistic Director. 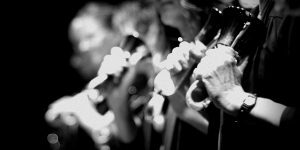 Dates and venues for our Spring Concerts have been finalized. Stop by our upcoming events page for more information!